The upcoming PES 2014 Winter Transfers DLC will be released on February 27, Konami today announced. Konami had last week released first info about the new PES 2014 Data Pack, additionally to the release of PES 2014 game patches 1.06 for the Xbox 360 version of PES 2014 and 1.07 for PC and PS3. Konami also detailed the upcoming February PES 2014 Data Pack. The announcement of a February Data Pack comes as a nice surprise as Konami only updated the winter transfers in March in the last years. 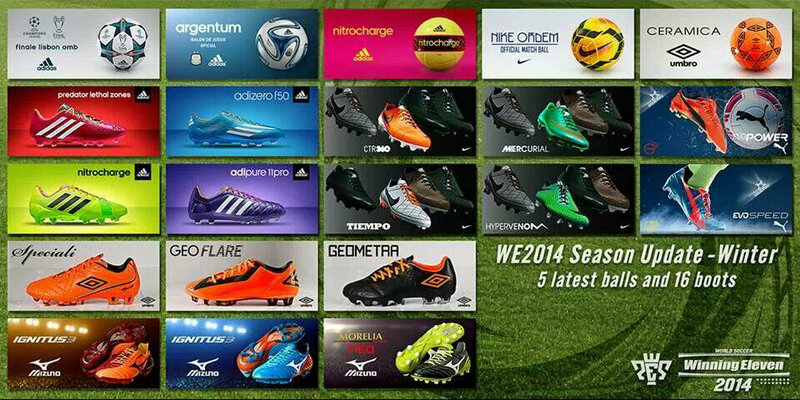 The new PES 2014 free Data Pack will add all transfers made in the January transfers window, as well as many new balls, boots and kits. 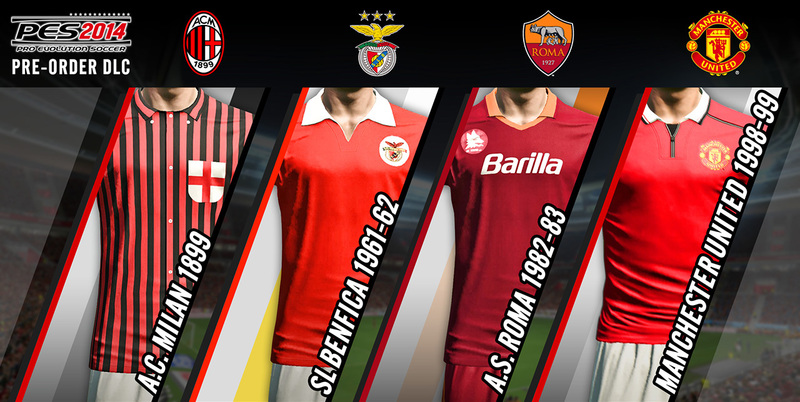 Added kits include the originally pre-order-exclusive 3rd and classic kits for teams like Manchester United, AC Milan and Juventus.